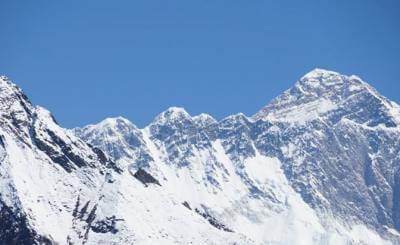 Jiri Everest Base Camp Trekking is one of the popular trekking routes in the Everest Region that begins at an altitude of 1800m. 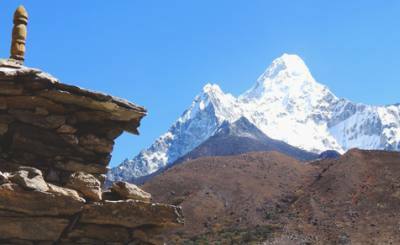 This 20 days Jiri to Everest Base Camp Trek ( also known as Classical Everest Base Camp Trek ) is a twisted package to the Everest Trekking region. Hence, it follows the less explored pathway to reach the base of the Mt. Everest. This Jiri to Everest Base Camp Trek allows immersing the trekkers in the amazing natural beauty of the majestic Himalayan ranges and the surroundings. 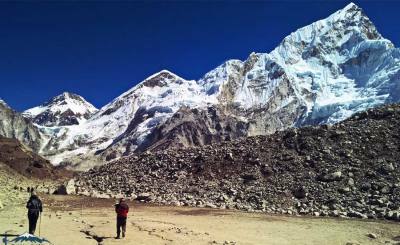 Trekking Trail to Everest Base Camp via Jiri is less crowded but longer trekking trail, only alternative Trekking Trail to the Everest Base camp. The trekking to Everest Base Camp via Jiri follows the original conduit providing the spectacular view of the small settlements of Khumbu region and the scenic mountains with rhododendron and oak forests. 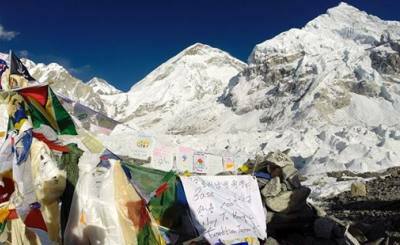 Jiri to Everest Base Camp Trekking ( Jiri EBC Trek ) is a feasible one. 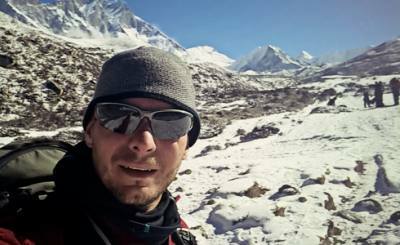 Jiri Everest Base Camp Trekking ( Jiri EBC Trek ) of Trekking Trail Nepal gives you the experience of breath-taking view of the sunrise over the snowy peaks like Mt. Everest, Mt. Ama Dablam, Mt. Lhotse, Mt. Nuptse, Mt. Thamserku, Mt. Pumori, etc. from the vantage point, Kalapatthar. 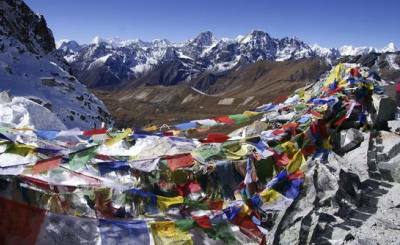 The Jiri to Everest Base Tamp Trek passes through the traditional Sherpa hamlets with the sacred monasteries and peaks and is also the central hub of Buddhist culture. The snowy peaks, the lovely alpine vegetation, glacial rivers of this Khumbu region soothe the eye of the trekkers giving the utmost pleasure. Hence, the spring season is considered to be the perfect time for trekking in this Everest region but we can trek in any season accordingly. 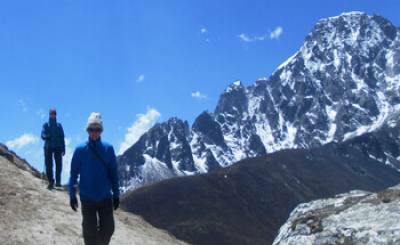 Jiri to Everest Base Camp Trekking follows the traditional old route to the Khumbu Trekking region which was made popular by Sir Edmund Hillary and Tenzing Norgay Sherpa during their summit on Everest in May 1953. 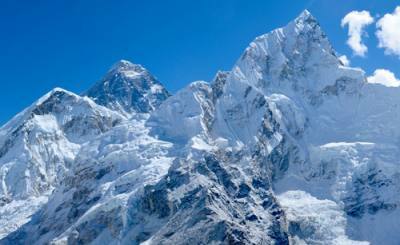 This legendary Jiri Everest Trek enthralls the trekkers to reach the base camp of the top of the world. Since this is a longer tour to Everest region, we usually the transportation depending upon the way to Jiri. 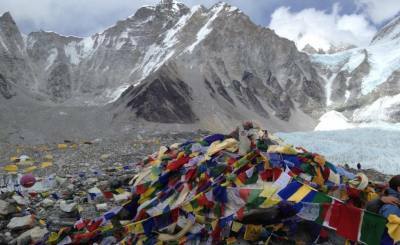 Jiri to Everest Base Camp Trek comprises the adventure and nature exploration. Trekking Trail Nepal makes sure that the trekkers or guests enjoy the fullest satisfaction of this though it is very tiring and exhilarating. 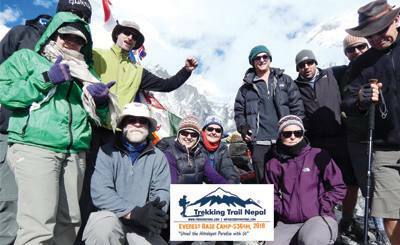 This Jiri Everest Base Camp Trekking offers the trekkers to experience Nepalese traditions and cultures and also the lifestyle of the local residents of this Khumbu region. 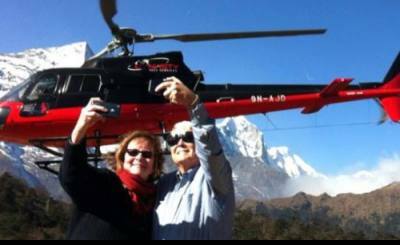 If you need any support or have any queries for Everest Base Camp Trek via Jiri, Jiri Everest Base Camp Trekking Itinerary, Jiri to Everest Base Camp Cost, Jiri to Lukla Trekking Itinerary, Short Jiri Everest Base Camp Trek, Everest Base Camp Trek without Lukla Airport, Luxury Everest Base Camp via Jiri or any questions regarding Nepal Trekking Holidays, Please Feel easy to Contact Our Expert. Day 02: Drive from Kathmandu to Bhandar. 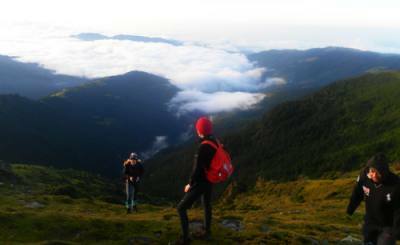 Day 04: Trek over Lamjura pass to Junbesi 8-9 hours. Day 05: Trek to Nunthala. Day 06: Trek from Nunthala to Bupsa danda. Day 07: Bupsa trek to Chablung/Chheplung (2700m). Day 08: Chablung trek to Namche Bazar (3440m.). Day 09: Namche Bazar / Day Hike and excursion of Khumjung village 3800 m/12,465 ft.
Day 10: Namche Bazar to Tengboche 3860m, Duration: 4-5 hours. Day 12: Dingboche Valley 14464 ft to Nangkartseng Hill (5100 m/16728ft) and back to hotel in Dingboche, 6 hours. Day 13: Dingboche 4410 m to Lobuche 4910 m Duration: 6 hours. Day 16: Pheriche - Tengboche and Namche Bazar (3443 m/11283ft) Duration: 8 hours. Day 17: Namche Bazar to Lukla (2870 m/9184ft) via Phakding, Duration: 8 hours. Day 18: Flight from Lukla to Kathmandu. Day 19: Reserve day in Kathmandu, time to celebrate Everest Base Camp Trek success. Round trip flight (Kathmandu – Lukla / Lukla – Kathmandu) including for the Trekking guide and the airport taxes where applicable. Best available twin sharing room for accommodation during the trek. Trekking Guide assisted by Porters (1 porter for 2 people) with their lodging and food, their salary and the insurance for all staff. Assistant guide for the group of over 8 people with his meal, accommodation, salary and insurance. Lunch and dinner in the cities (also in the case of early returns and late departures than the scheduled itinerary). Personal trekking and adventure gear, clothing and accessories. Extra supporting staff, laundry, battery charge, and communication expenses (such as internet charges). Personal expenses like bar bill and beverage, snacks, hot shower, etc. 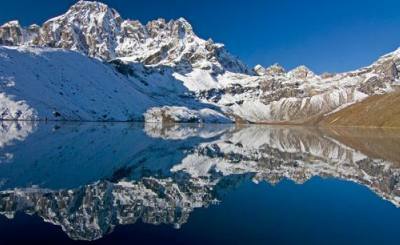 llAIcase of natural calamities, mishaps or anything beyond control of Trekking Trail Nepal. If you leave the trek voluntarily and want to return from the trek earlier than scheduled itinerary, the costs are not refundable and transferable. Tips and gratitude for the members of the trekking or tour.